Rick Barker is a partner at Accuracy and leads Accuracy’s Forensic Technology practice. He has over ten years of law enforcement experience and, since 2006, has provided forensic technology services to corporate clients from across the globe. Rick has focused on delivering practical, quality, innovative and streamlined solutions to clients in high pressure matters with tight deadlines. Prior to joining Accuracy he gained extensive experience with Deloitte and EY in London before leading Deloitte’s MENA Forensic Technology practice. 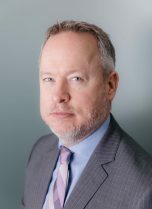 Rick and his team are experienced at delivering computer forensic, electronic discovery and forensic data analytics services in matters where the results of the investigation, litigation, review or analysis may be vigorously examined by litigators, regulators, tribunals, courts or governments. Rick speaks English and is learning Italian. Rick‘s main focus is overseeing large scale forensic technology projects, particularly those involving regulatory driven collections, document reviews or digital investigations. Rick has provided evidence to the Magistrates’, County, Supreme and Coroner Courts and has testified in the Magistrates’, County and Supreme Courts. He has provided expert reports in corporate litigation matters, acted as the court appointed expert to assist Supervising Solicitors executing High Court Search Orders and also acted as a financial regulator’s technical agent in the execution of their powers. Discovery support to a North African sovereign wealth fund’s multi-billion dollar dispute with its European financial advisors. The disclosures involved the client’s entire population of electronic data (all emails, documents and financials). Data collection was complicated by civil unrest. The disputes were vigorously contested by the defendants and their UK legal advisors. One of the matters settled with significant compensation to the client. Large computer forensic investigation in response to a US regulator’s investigation into a European manufacturing firm’s fraudulent activities. The matter is ongoing but the scale of the matter involved billions of dollars. The computer forensic investigation complemented the wider investigation which included identifying who knew what, when and what was involved in the attempted cover up. Discovery support to an international bank in response to a regional regulator’s investigation. The investigation arose from the bank’s self-disclosure of suspect behaviour by one of their traders. Assisted the bank’s proactive response with challenging deadlines and technical issues, including review of voice recordings and multiple chat systems. The proactive approach and heavy reliance on technological solutions to perform a rapid and defensible disclosure to the Regulator resulted in a commendation to the bank. Forensic data analytics support to an international bank which had identified discrepancies between bank charges on customer cards that been made and those described in the cards‘ terms and conditions. The discrepancies impacted thousands of customers over ten countries. Recalculated the correct fees and with the bank identified what refunds were necessary. The analysis also provided the bank’s Regulator with the confidence that the appropriate compensation had been made. Supported an international pharmaceutical company and its various legal advisors with their ongoing forensic data collection requirements across multiple countries, including countries with security issues. Collections were performed in a standardised manner meeting the client’s needs, with minimal impact to business. One example involved over 150 laptops, phones and tablets collected over three days whilst the custodians attended a conference.